Following on from a double game week, the ten Premier Division managers must again prime their players for a weekend round of matches, followed by a full top-flight fixture list on St.Patrick's Day, there's certainly no rest for the wicked in this league! Despite bouncing back from their 8-0 embarrassment at the hands of Dundalk with a crucial 1-0 win over relegation rivals Bray on Friday night, Limerick boss, Tommy Barrett has again found his players under fire this week, following a 5-0 humiliation away to Derry City midweek. Given the clear lack of confidence (and defensive solidity) among this group of players at Market Fields at present, there could possibly be no worse opponent at this stage of the season than local rivals, Cork City. The "Rebels" had questions of their own to answer recently, following a well below par showing versus Dundalk but John Caulfield's men bounced back immediately with a huge home win over Stephen Bradley's Shamrock Rovers midweek (1-0, Sadlier penalty). Having been shocked at this very venue last season when Rodrigo Tosi and Shane Tracy secured a 2-1 win for the "Super Blues", Caulfield has spoken of the importance of attacking the struggling "Lims" the very same way they did Rovers last time out. Stephen Bradley's "Hoops" struggled badly in this Dublin derby fixture last season and will need to address questions regarding their mentality in big games, following on from their Turners Cross defeat. Liam Buckley's "Saints" have a fantastic recent record in Dublin derbies and added further to the win rate thanks to a 1-0 shutout of Bohemians in the last round of Premier Division fixtures. However, Pat's have yet to reach the targets many have set for them this season and will be eager not to loose ground on their Tallaght rivals with an away defeat in this one. Without a doubt, the game of the weekend across both divisions as second placed, Waterford travel to County Louth to face third placed, Dundalk. The hosts have struggled for goals this season, with eight of their nine coming in the demolition of Limerick FC. Scoreless draws against Bray, Rovers and Pats last time out have slowed the "Lilywhites" progress but Friday's win over champions Cork City is sure to boost Stephen Kenny's charges going forward. As for Alan Reynolds Waterford, the "Blues" have blown everyone away with their return to top-flight football and will travel to Oriel Park full of confidence off the back of three consecutive wins. Off-season signing, Bastian Hery has been a revelation since arriving from Limerick and how the home side deal with the former PSG youth will play a major role in what direction the points go on Friday night. Should Dundalk finally click and show signs that they are gelling as a unit offensively, they stand every chance of collecting yet another home win, however in Hery and Gavan Holohan, the "Blues" will be thinking more about what they can do going forward than how to stop their goal shy opponents......Upset on the cards. Derry City's long awaited return home came midweek and it was a fitting occasion as 2,600 piled into the new Brandywell Stadium to see the "Candystripes" put five past Limerick. While the Munster club are far from an in-form runner, to use some Cheltenham terminology, Friday's opponents, Bray Wanderers look to be in far worse fettle. One point from a possible fifteen, two goals scored and a staggering eleven already conceded, the "Seagulls" are in danger of being pulled up before the first circuit has even been tackled. Despite Derry's wonderful homecoming triumph, Kenny Shiels boys have performed well below par so far this season and will be looking to use these consecutive home ties as confidence builders for the season going forward. Expect little challenge from the Wicklow side. It's ninth versus eighth at Dalymount Park, where Bohemians must show they are capable of turning their woeful home form around with a bottom half win over struggling, Sligo Rovers. 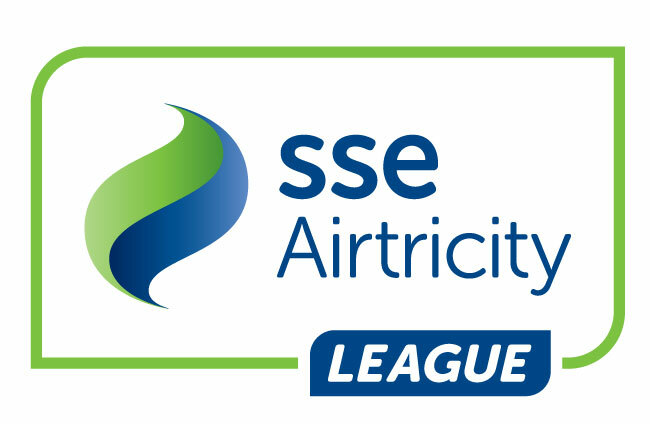 The "Bit O'Red" have struggled for consistency in recent seasons and like "Bohs", they will look upon this fixture as a chance to boost their chances of reaching the expected targets set upon them in pre-season. Given both sides patchy form this is a difficult one to call, however, Keith Long's "Gypsies" undoubtedly posses star power in the likes of Eoghan Stokes and ex-Sligo pair, Keith Ward and Dinny Corcoran and will be looking to that trio to come up big on a potentially testing night at the spiritual home of Irish football.